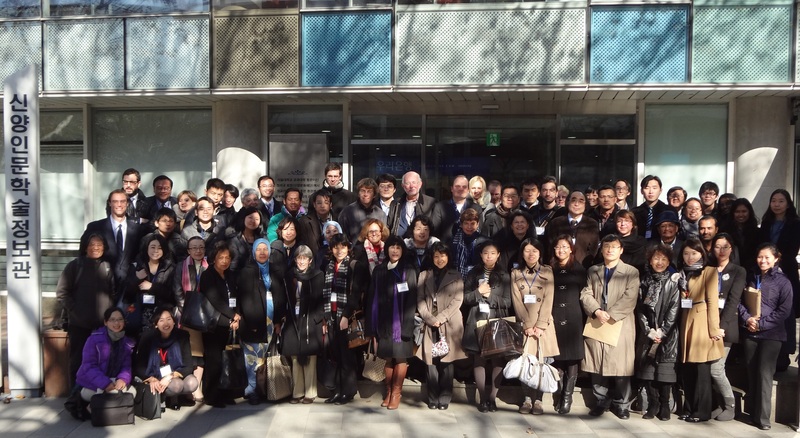 The Research Consortium for the Intimate and the Public is founded on 26 November 2011 at Seoul National University, Republic of Korea. The purpose of the consortium is to maintain at an advanced international level the width and depth of research, dissemination of results, and researcher education activities on the relationship of the intimate and the public in social life, established during the activity period of the Global Center of Excellence for Reconstruction of the Intimate and Public Spheres in 21st Century Asia of Kyoto University during 2008-2013. The signatories of the agreement are the founding members of the consortium. They are individual researchers affiliated with various universities and research institutes around the world. New members, both individual and institutional, can be accepted by steering committee. The signatories empower the Graduate School of Letters of Kyoto University to establish an international steering committee to proceed with the activities and institutionalization of the Research Consortium, and to handle related practical matters. The Asian Research Center for the Intimate and Public Spheres (ARCIP) was established within the Graduate School of Letters, Kyoto University to continue the activities of the Global COE for “Reconstruction of the Intimate and Public Spheres in 21st Century Asia” (2008-2012) which had already created a research paradigm connecting micro human experiences and macro social systems. A global network of partner institutions had also been established, resulting in the formation of the Research Consortium for the Intimate and the Public (RCIP) consisting of researchers and research institutions around the world. ARCIP serves as the secretariat of the consortium as well as continuing various research and educational programs started by the GCOE. ARCIP also acts as the secretariat of KUASU’s Social Studies Division.